this is my piece for Muse Merriment, Euterpe, the Muse of Music. The teacher for this muse is Rachelle Panagarry. Although she showed how to do a different project, I found an image on Pinterest made by Rachelle similar to this face so created this to fit into my Muses Book. 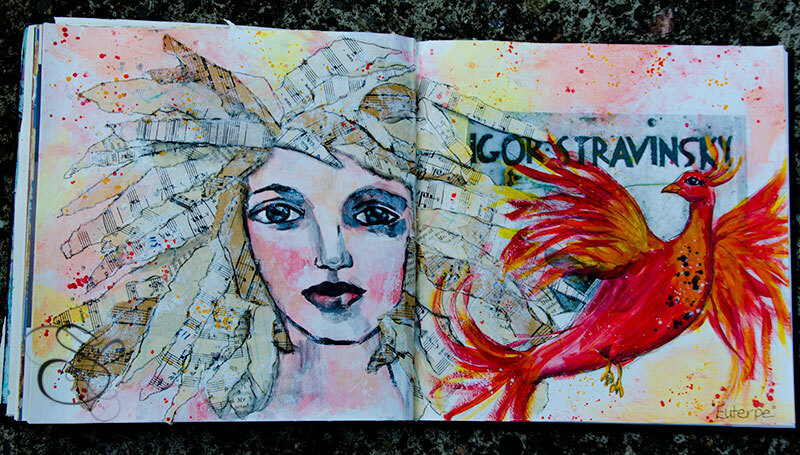 On the page was a photo showing the grave site of Igor Stravinsky, so I added a Firebird in homage to Firebird, one of his ballets. The Muse Merriment class put together by Kelly Hoerning has been so much fun! Scotland or Half Moon Bay? It’s hard to tell if it is Scotland or Half Moon Bay, California, isn’t it? 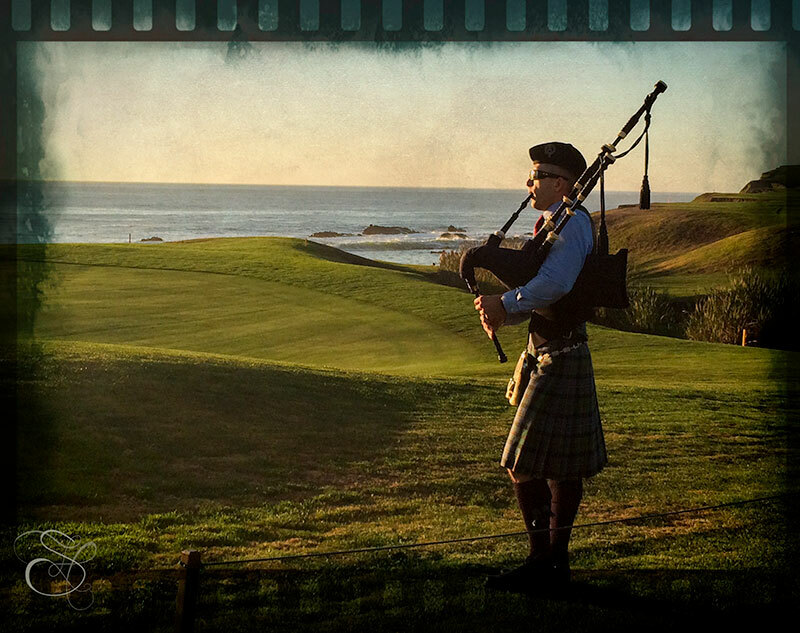 Every evening at the Ritz-Carlton in Half Moon Bay, a bagpiper pipes the sun down. It was a gorgeous warm evening; a wonderful experience! Sort of like Fleetwood’s in Lahaina, but I admit on this gorgeous of a night, this was better! I used a OnOne Border and Kim Klassen’s kk_Monday texture, kimklassen.com for Texture Tuesday.